My 2015 Reading Challenge @ Goodreads. 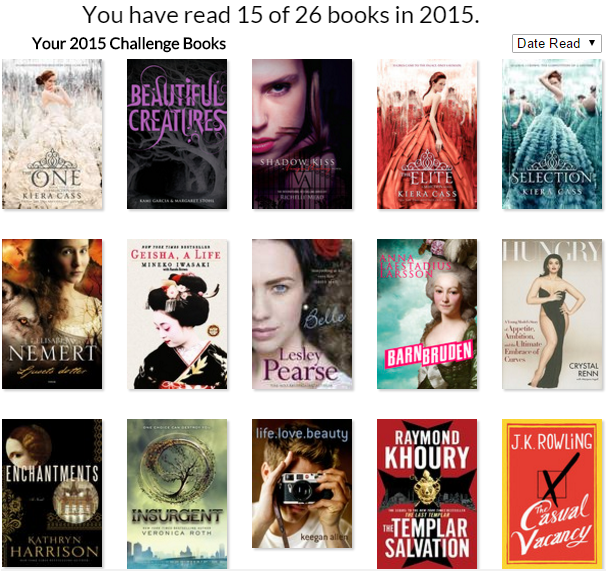 I didn't complete my 2015 Reading Challenge on Goodreads this year unfortunately. You can find the complete list of the books I read during 2015 and how I rated them here. I've done the Reading Challenge on Goodreads every year since 2012 now but for some reason I haven't completed any of the Reading Challenges since 2012. In 2012 I entered the Reading Challenge some months after the year had started so I had already read some books and completed the challenge that year with 26 books instead of 25 books that was my goal for that year. Since then I've had 26 books as a goal in every Reading Challenge because I know that I can do it since I already did it once but unfortunately I haven't been able to do it again for 3 years. I've probably been procrastinating too much and doing other unnecessary things but I love books and reading so I shouldn't even have a problem with completing a Reading Challenge. Especially not a Reading Challenges with only 26 books when I've seen other people reading that many books in just a month or people reading over 100 books every year. I probably should try to step it up and read more books every year since I have many books on my Goodreads to-read list and it's just increasing every year. 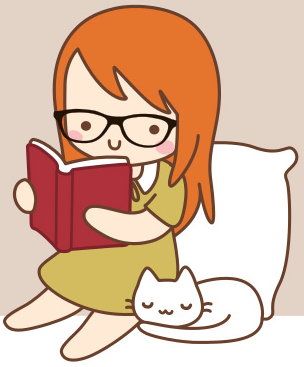 1,724,660 Goodreads users participated in the 2015 Reading Challenge and 19,049 challenges were completed. A total of 28,860,193 books were completed. How many books do you want to read in 2016? You can read my 2012 Reading Challenge blog-post, my 2013 Reading Challenge blog-post and my 2014 Reading Challenge blog-post.